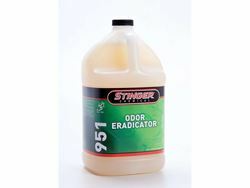 Stinger's Odor Eradicator is a technologically advanced odor controller and cleaner formulated for use on both carpet and hard surfaces. Slight citrus fragrance. Ready to Use! Available in gallons and 5 gallon containers.